I’m sure many of you will agree with me if I say the steering wheel is one of the dirtiest parts of your car, particularly in the interior cabin. Did you know that there 1,500 bacteria in each square centimeter of your skin? Think about that for a moment. 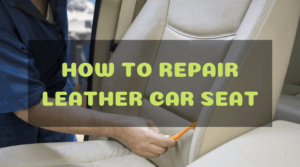 If you are the type of car owner that spends a lot of time on the road, then you can imagine the amount of microscopic filth accumulating on the leather steering wheel of your car. Since your hands are presumably always touching the steering wheel, it is a good habit to clean it regularly. The same goes for the leather or plastic shift knob and the leather seats. But for cars equipped with a leather steering wheel, the process can become a bit complicated. Leather-covered surfaces require a modicum of special care. It’s no different from your leather Oxford dress shoes. If you don’t take the time to clean and polish your shoes, then it can completely ruin your black-tie look. It’s the same for the interior of your car. The steering wheel is an integral part of the driving experience. It is not only a tool to control and maneuver your vehicle, but it allows you to get a better feel of the marvelous engineering that is integrated into the design and construction of your vehicle. 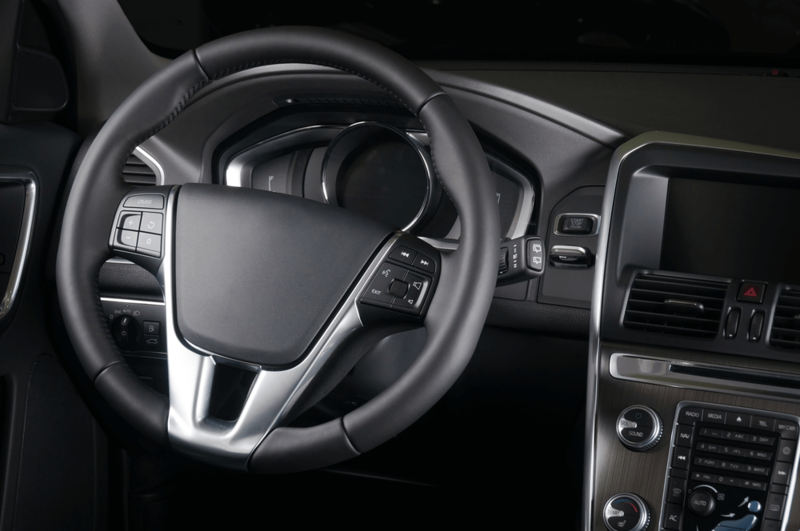 A leather-wrapped steering wheel will give your car a premium look and feel. The leather surface is relatively easy to clean. Leather requires little maintenance to keep it looking new. Issues with deterioration (fading, warping, cracking). Can be extremely hot to the touch when exposed to direct sunlight. Can be damaged easily by sharp or pointy objects (fingernails, pen, etc.). Stains might be tricky to remove (hand lotion, food stains, etc.). Never use harsh detergents to clean the leather steering wheel. This will lead to rapid deterioration since detergents will strip off the natural waxes and oils on the leather itself. Always use a clean, soft, and dry microfiber towel when cleaning the leather steering wheel. 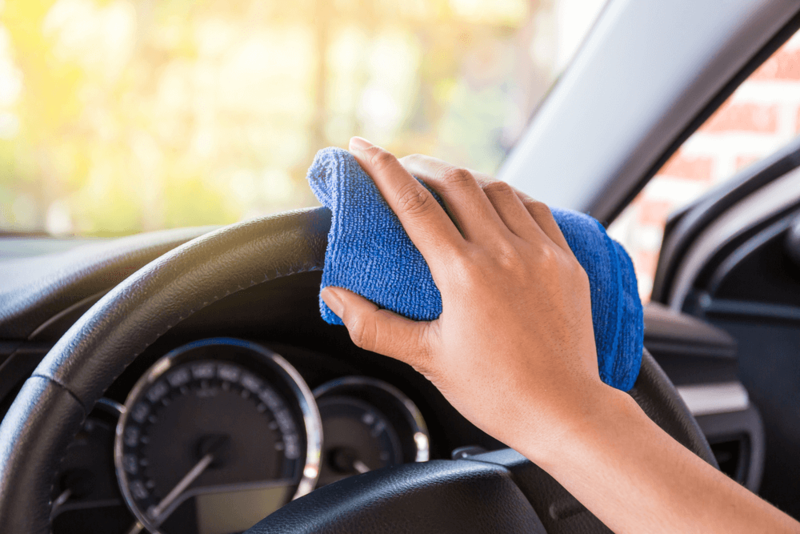 Avoid exerting too much pressure when cleaning the steering wheel. Leather is a bit more delicate than vinyl. 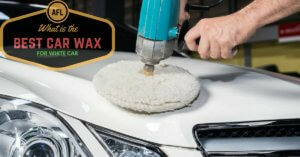 Park the car in a safe and level area before cleaning the wheel. Do not attempt to clean the steering wheel while driving, even when you’re stuck in traffic. 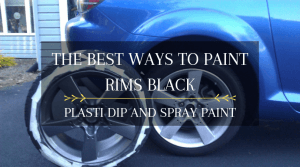 The methods described here can also be applied to non-leather steering wheels. 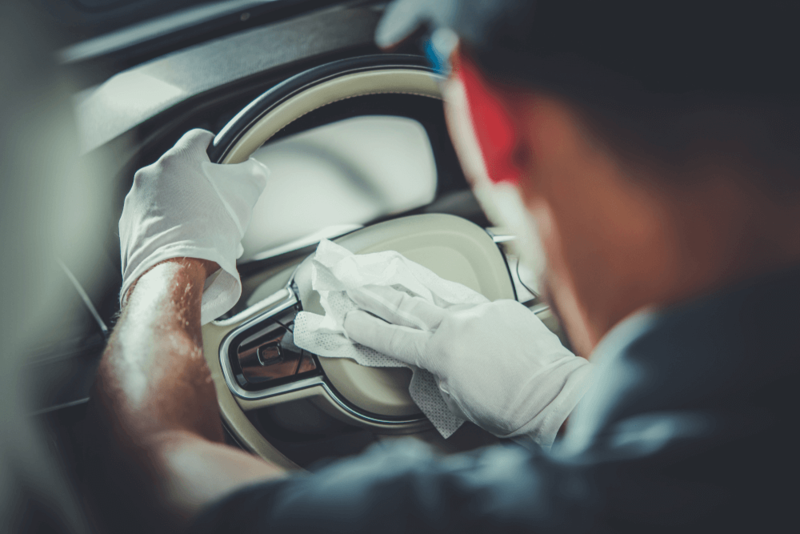 The easiest and safest way to remove visible dirt and stains on the steering wheel is to use a mild all-purpose cleaner like the Seventh Generation All-Purpose Natural Cleaner. This product is biodegradable, septic safe, and contains zero harsh chemicals dyes, fragrances, and petroleum-based solvents. 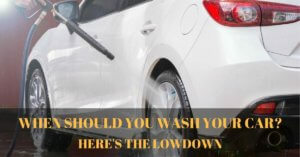 Of course, you can use any type of all-purpose cleaner, but you should avoid using dish soap or other harsh detergents. Simply spray an adequate amount of all-purpose cleaner on a dry microfiber towel and wipe the steering wheel in a 360-degree motion. 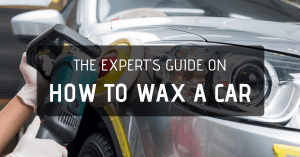 You can also wrap the cloth around the wheel to clean every inch of the surface. Do not rub on the leather. Let the cleaner do the hard work for you. You can proceed to clean the leather shift knob with the all-purpose cleaner as well. 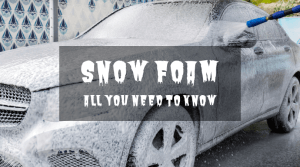 You should avoid spraying the cleaner directly on the steering wheel and shift knob. You can skip step 1 if you prefer and go straight to using leather cleaner to treat the leather steering wheel. 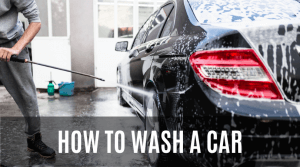 But if your wheel is extremely dirty or has not been cleaned for a while, then using all-purpose cleaner will allow the leather cleaner to penetrate the leather surface for a more thorough clean. Spray a moderate amount of leather cleaner on a clean microfiber towel. Lightly wipe the entire surface of the steering wheel. 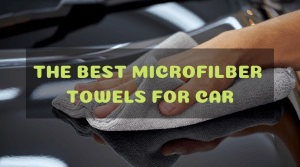 Next, grab a dry microfiber towel and remove the excess cleaner. At this time, the leather steering wheel will already look pristine. The next step is optional since high-quality leather cleaners like the Autoglym Leather Cleaner contains specialized cleaning, deodorizing, and conditioning agents that will leave a beautiful matte finish. Always read the directions on the bottle when using leather cleaners. The good thing about the AutoGlym Leather Conditioner is you can use it on faux leather as well. An entire 500ml spray bottle of this cleaner is enough to treat all the leather surfaces in your car (including the seats) for many times over. 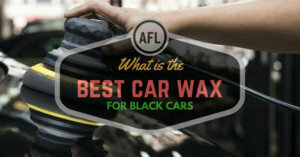 You can choose not to apply leather balm or leather conditioner on the steering wheel if you like. But in my opinion, this is an important step since leather balm will add a layer of UV protection to keep your leather steering wheel looking brand new even after many years of use and abuse. Simply apply a small amount of leather balm to a clean microfiber cloth and gently wipe the solution over the surface of the wheel. Use a gentle massaging motion to allow the product to penetrate and treat the leather. Wipe off the excess with a clean and dry cloth and you’re done! For this process, I highly recommend the Meguiar’s Ultimate Leather Balm. The product contains rich cocoa butter and jojoba oil along with UV sunscreens to maintain the like-new appearance of your leather steering wheel. 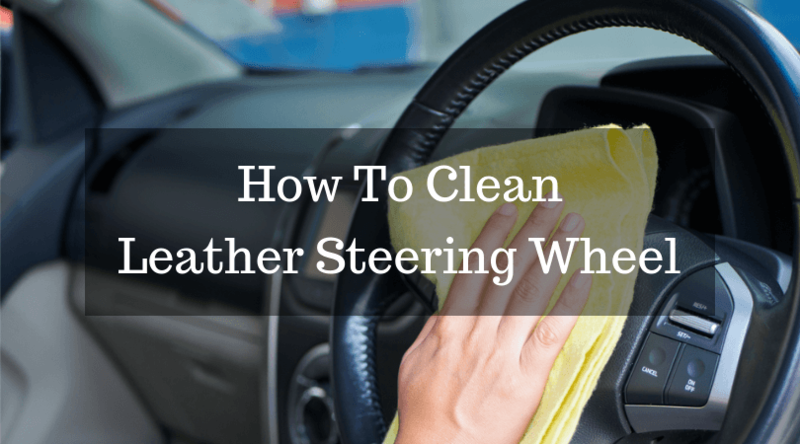 It doesn’t take long to master the techniques on how to clean the leather steering wheel in your car. 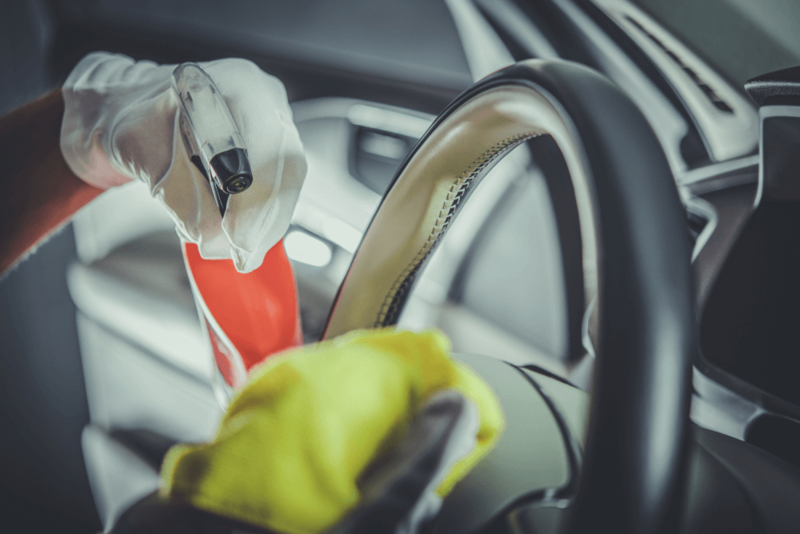 As long as you use the right products and the proper procedures, you can drive with confidence knowing that your leather steering wheel is clean and protected from dirt, stains, and harmful UV rays.